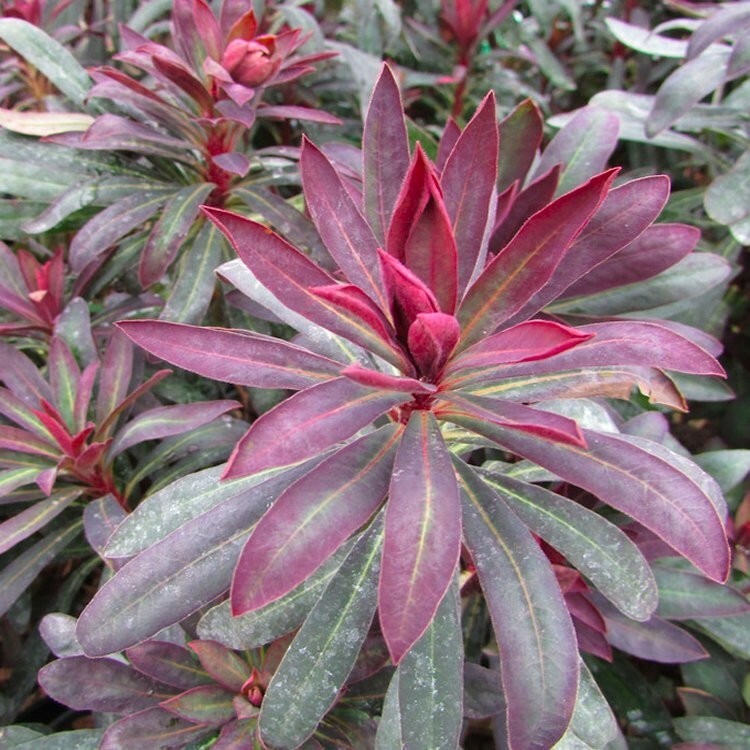 Dark bronze-green leaves with new shoots of deep purple-red with flowers of lime-green lasting all through spring making a beutiful contrast with the purple-mahogany foliage. 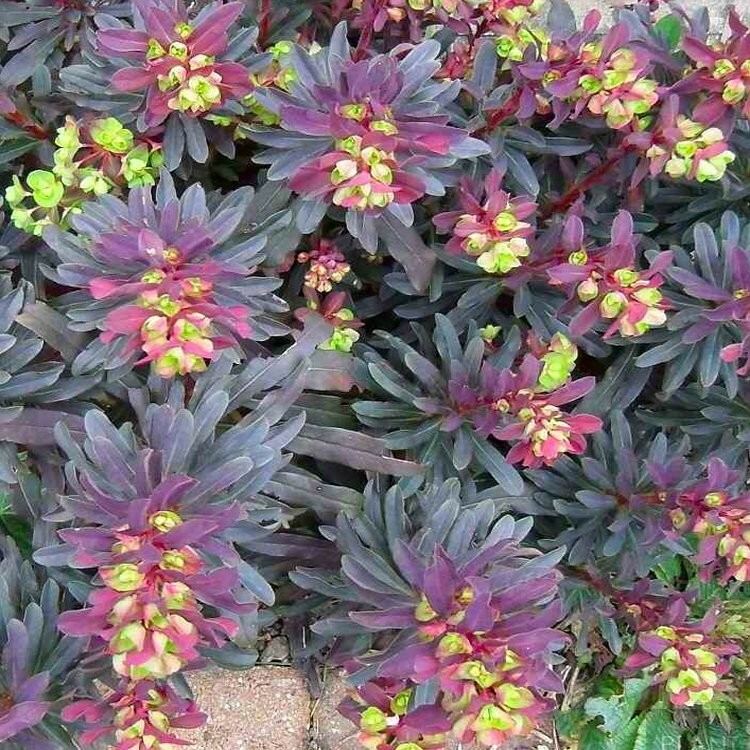 This plant is excellent for groundcover and will even grow in a difficult, shady site. 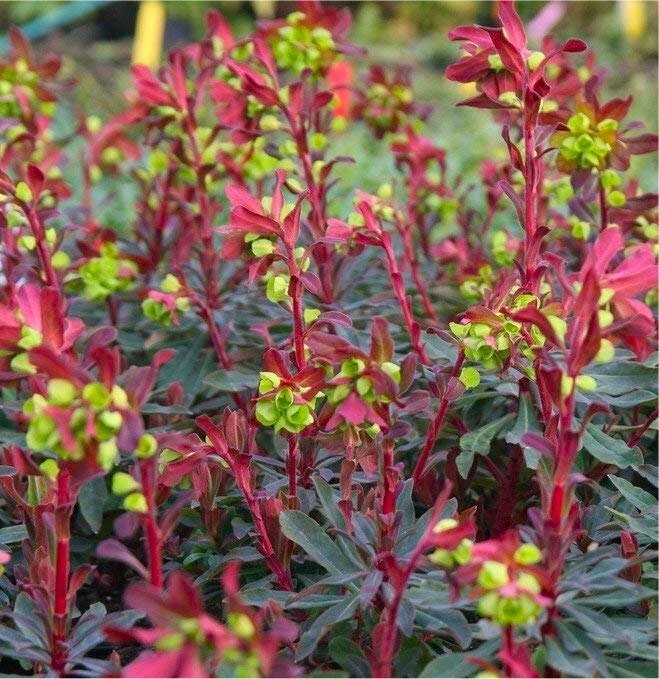 The lovely foliage is great at the front of a border and a perfect companion for flowering hellebores and the colourful foliage of heuchera. We use our to under plant our Magnolias. Flowering sized bushy plants supplied in approx 2 litre containers.